Download it on your MP3 player and listen to it on the go! James Baldwin is on a stamp. Baldwin, who lived from 1924 to 1987, was a legendary writer who contained many contradictions. He was an American who lived in Paris. He was a black man who lived much of his life in what was then a primarily white literary world. At the same time he was active in the Civil Rights movement and had strong ties to Martin Luther King, Jr., and Medgar Evers. He was also a gay man, who by and large did not associate with the gay movement, but nonetheless became a gay icon thanks to his novel Giovanni's Room, first published in 1956. He was a man who identified with many and with none. Issued last July, the stamp is rectangular with the head of shoulders of Baldwin staring away--nto the distance--from a backdrop of storefronts and stoops, resembling Harlem, in the twenties, the place and time that he was born. It is a mature Baldwin who stares out from the stamp, with a lined face and an astute and slightly pained expression that indicates his life was not an easy one. During the course of his life, Baldwin took fire from all sides. My partner, a postal clerk in an African American neighborhood, tells me this is still the case. Her co-worker demands to know if it is true that Baldwin was "that way." 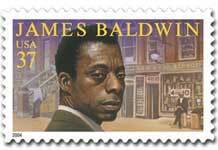 Other customers insist that they will take any stamp other than the one with Baldwin's face on it. Fortunately, far more people who come to the post office request the stamp. They say things like, "He was a great man. I had the honor of meeting him once." Unfortunately, I never had the opportunity to meet Baldwin--or even to hear him speak in public. But--in the early 80s--the beginning of my life as a lesbian intersected with his final years. The first gay and lesbian bookstore I entered was "Giovanni's Room." And I knew other writers--including Joe Beam, the editor of the anthology Brother to Brother, who died of complications from HIV in his early thirties--who had met and interviewed Baldwin and referred to him affectionately as "Jimmy." And when I read those interviews, and listened to him on the radio, and watched him on television, I responded to his eloquence, his vision, and most of all, his dignity. The recently published James Baldwin and Sol Stein: Native Sons (Ballantine Books) captures this dignity in the literary correspondence between these high school friends who later formed a writer-editor relationship. This book is a keyhole through which to read the transcontinental correspondence between the two men--with the letters as reproductions of the original typewritten and handwritten documents. This book sheds light on the creative process of Baldwin, and also on a friendship that survived differences and decades, and the caring touch of an editor that encouraged new works to be written and then, with a light touch, brought them to their final brilliant and published states. Stein, Jewish and heterosexual, married with a growing family, was instrumental in Baldwin putting together his first collection of essays Notes of a Native Son, first published in 1955. "It is time for white people to stop feeling guilty about Negroes, and for Negroes to stop trying to make them feel guilty, unless they want to feel guilty about being persons on this earth. 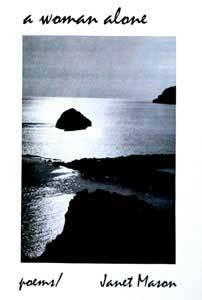 Guilt is a useless emotion, a way of evading the responsibility of recognizing the existence of love. That love between us began when some Uncle Tom somewhere found he loved his master a little, making him that much less an Uncle Tom. "Americans have a unique and valuable experience to offer others. No other people has ever been so deeply involved in the lives of black men, and vice versa. It is precisely this black-white experience which may prove of indispensable value to us in the world we face today. This world is white no longer, it will never be white again."